Democrats wanting to destroy ICE got bad news. And so did their illegal voters. It appears President Donald Trump is serious about comprehensive immigration reform. But his passion isn’t just with building the wall. In a recent raid, more than 280 employees of a Texas tech company found themselves under arrest by federal immigration authorities. According to officials, this raid constituted the largest single workplace raid in a decade. Workers at CVE Technology Group Inc. in Allen–a town a few miles north of Dallas–were arrested for reportedly working in the United States unlawfully. Clearly, part of the president’s comprehensive immigration reform involves targeting companies hiring illegals. And this raid formed part of a growing investigation into claims the company knowingly hired workers who are in the US without authorization. Companies knowingly hire illegals who have fake identification, according to Homeland Security. I worked in this area with the former Immigration and Nationalization Service (INS). As a contractor, I knew this type of thing goes on. In one case where my company secured a contract, over 150 illegals used the same social security number to secure employment. As for CVE Technology, the company hails from New Jersey. Thus, their core business focuses on repair of tech products. One of their largest repair depots is located in the North Texas town where the raid took place. As you might guess, deportations under President Trump are at record highs. Immigration officials ordered 287,741 new deportations in the fiscal year ending September 30, 2018, according to the report from Syracuse University’s Transactional Records Access Clearinghouse (TRAC). TRAC obtained the data from the Department of Homeland Security through Freedom of Information Act requests. As for those arrested and removed, the criminality boggles the mind. 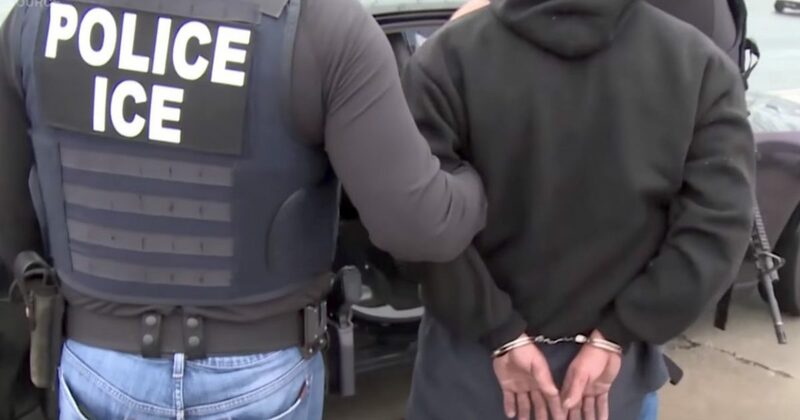 About 90 percent of the people arrested had criminal convictions, were facing pending criminal charges or had been previously issued a final deportation order by an immigration judge. In fiscal year 2018, officials said they also deported 256,085 people, a 13 percent increase from fiscal year 2017. Those numbers included 5,914 undocumented immigrants, 5,872 known or suspected gang members and 42 suspected terrorists, the agency’s data show. Clearly, President Trump sends a signal to all countries that they only want to be in the United States soon will be through legal means. Needless to say, Democrats are furious at the president. They continue implementing unconstitutional “sanctuary” policies. But the Fed will make sure that these policies implode as the raids continue. When companies can no longer operate if they hire illegals, the problem will solve itself. Until then, Americans living in “sanctuary states” will live with increased criminality and far higher taxes.